UR-1 USB, USB microphone from MXL. MXL Microphones announces the UR-1 USB ribbon microphone. 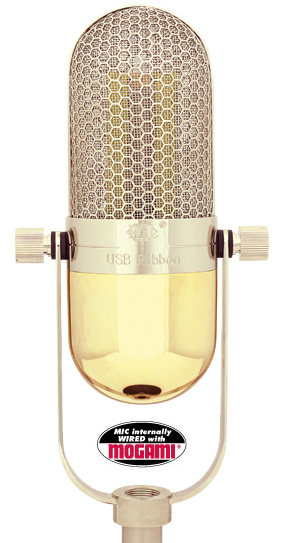 The microphone employs the classic mello sound of a ribbon microphone, most often associated with the music recordings of such vocal legends as Frank Sinatra, with new age electronics that plugs into the USB port of the computer. The mic combines a classic ribbon diaphragm design with modern electrical circuitry to match the input requirements of analog–to-digital converters and USB output with low noise and high dynamic range. The body is designed with the Larry King vintage look, most associated with the golden age of radio and TV. The mic is housed in a metal body with a double shielded grill. When the design meets the electronics, the big ribbon sound makes the UR-1 good for vocal recording including singing, voice over, and podcasting. A volume control and headphone jack on the unit is designed to allow for real time monitoring. The MSRP will be $495.00, and be available by June of 2011. You can visit MXL at the 2011 NAMM show, Jan. 13th- 16th Hall A / Booth 6866. 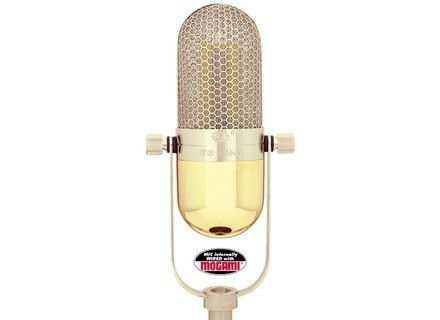 For more information on MXL, visit www.mxlmics.com. [NAMM] MXL Genesis II Tube Mic MXL Microphones has broadened its collection of studio recording microphones with the introduction of the Genesis II Dual Diaphragm Tube Microphone. [NAMM] KK audio labs DS-6 KK audio labs will introduce its new DS-6 six-inch, two-way powered studio reference monitor at the 2011 NAMM Show in Anaheim, California (Booth #1571, Hall E). [NAMM] Mackie MR5 & MR8 mk2 The new mk2 Mackie Reference Monitor's are re-voiced to feature new drivers and provide "unmatched frequency response performance in its category," according to Mackie.